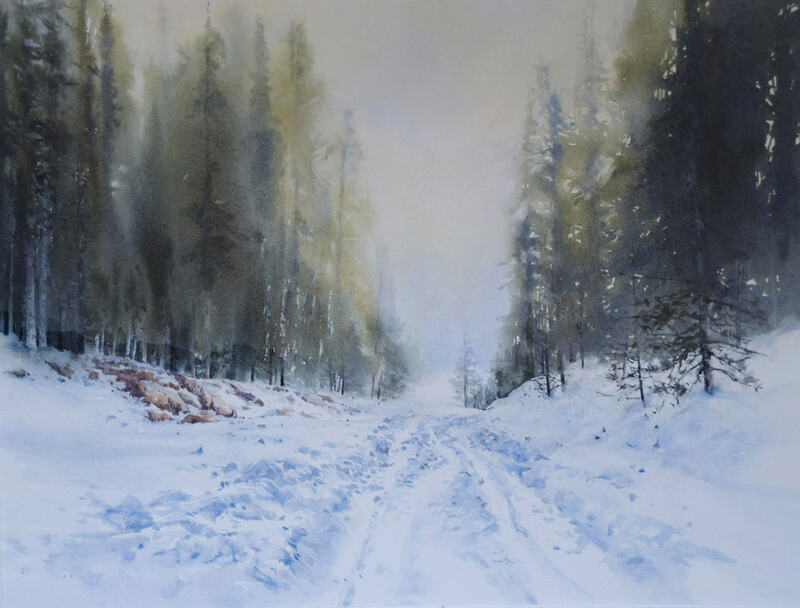 I paint landscapes in watercolour, with atmosphere and mood that are romantic and personal. 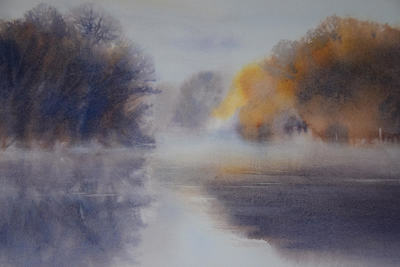 My paintings are a personal interpretation of the landscape and I particularly enjoy painting water in watercolour. 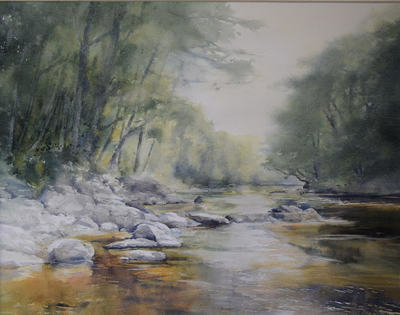 I take photographs for reference, and I also draw and paint outside using lively marks and colour to help me record my impressions. 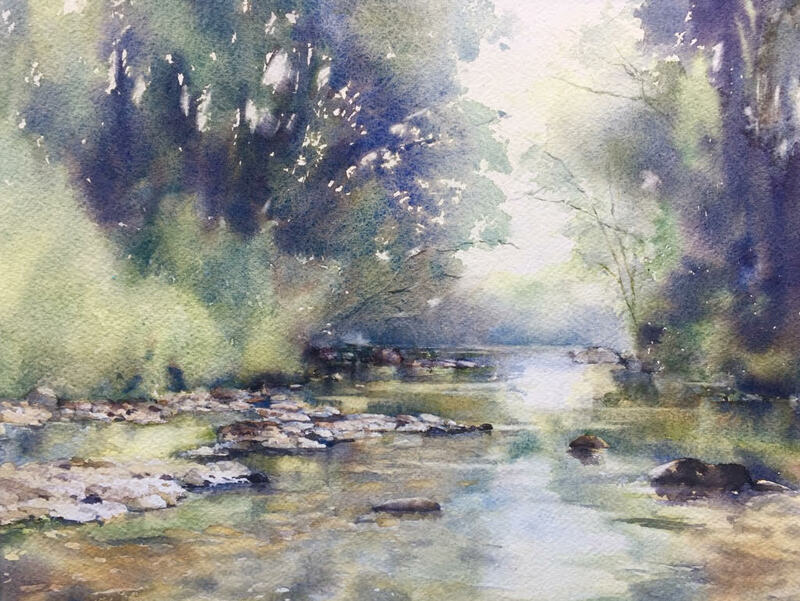 Then I return to the studio to add mood and atmosphere using carefully chosen colours, (often rather different to the actual colours) pouring washes and water and letting the pigment run and find its own way in the painting. There is often a lot of wastage!